As far as real estate investors in the United States of America are concerned, Than Merrill is one of the top performers in the country right now. Not only has he reached the top echelons of the investing world, he’s also a trainer and teacher for those looking to learn how to invest in real estate. 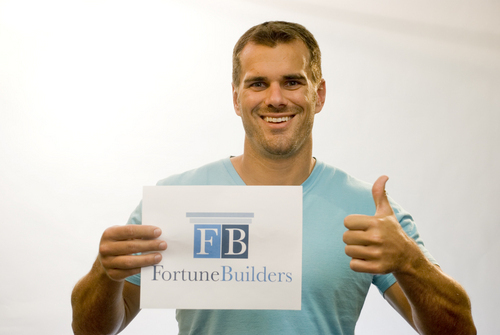 He founded and is the chief executive officer of CT Homes and Fortune Builders. As you can see, Mr. Merrill certainly has a very impressive resume to say the least. Besides being the founder and CEO of Fortune Builders and CT Homes, Than Merrill had an amazing investing career in which he purchased and sold hundreds of different properties in real estate all throughout the nation. As a young man, Than Merrill graduated from Yale University. And if that’s not impressive enough for you, he was also a former player in the NFL. Than Merrill is a very humble man. Although he has achieved many tremendous accolades in investing, business, and sports, he believes that he was successful in all of these endeavors because of great education, coaching, and systems that he used to achieve massive success. Because Mr. Merrill was capable of achieving such phenomenal success throughout his entire life in a number of different areas, he decided to take the principles that he used to reach a higher level and incorporate them into his Fortune Builders training system for real estate investors. And it’s this exact training system that Mr. Merrill uses to help his students create incredibly rapid success. His system will allow them to set up their business correctly by using a franchise-like program. With a program like this, it literally eliminates all the guesswork because you just have to follow the system step-by-step and you’ll be able to achieve the same or similar types of results as Than Merrill himself. At one point in his career, Than Merrill reached a very interesting milestone in his career. He became one of the stars on A&E’s Flip This House. If you’ve never heard of it, it is an incredibly popular show about flipping houses. And on the show, viewers had the opportunity to see real estate experts and investing professionals turn a profit on their house flipping endeavors. On another note, Mr. Merrill is also a highly sought after and well-respected speaker. He goes all around the country teaching novice real estate investors about his methods, system, and shares other ways that he’ll be able to help them in the future. Throughout his speaking career, he has had the unique opportunity of sharing a stage with some incredible luminaries including Robert Kiyosaki, Tony Robbins, Sarah Palin, and former first lady Laura Bush. The Than Merrill net worth is quite incredible, but even more incredible is that Mr. Merrill is also a generous man and heavily into philanthropy. Along with his wife, he created the nonprofit charity called Equal Footing Foundation. He’s also created the nonprofit organization Fortune Builders Gives, which gives his students and employees a chance of giving back to their communities.